Our innkeeper at The Dartmouth House recommended Plum House to us when we told her we enjoyed sushi. She warned us "it doesn't look so great - it's just too... purple". Since we love purple, this was definitely not a deterrent, so off we went. First of all, it's not all THAT purple. It's dark purple and it's a neat little place on Monroe Avenue. It's very clean and well-put together inside - a pleasant place to spend an evening over a bottle of hot sake. Second, the sushi is... to DIE for. If you are staying in the area, walk to the restaurant and work up your appetite - it's worth it. Get one of the assorted meals so you could try a little bit of everything. Settle in comfortably. Enjoy. 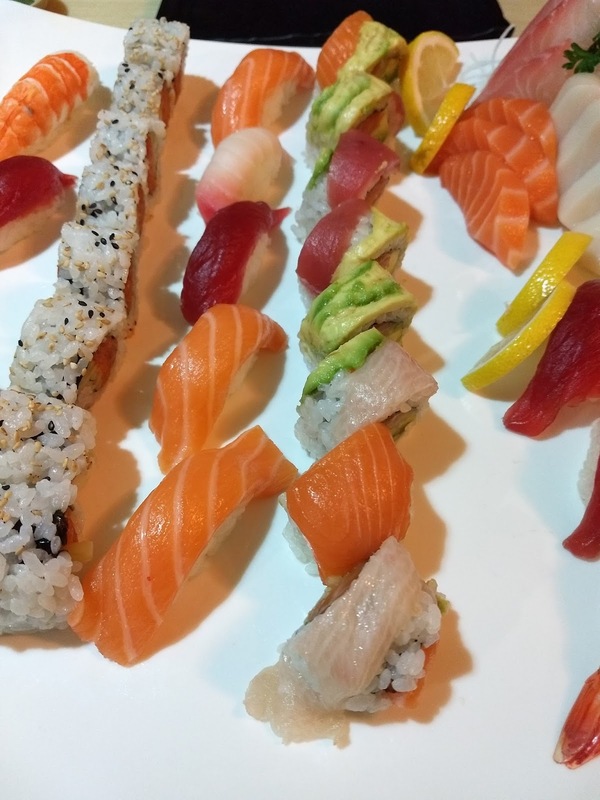 Whether you opt for one of the more traditional sushi selections like a classic Philadelphia roll or munch on one of the scrumptious tempura creations - everything is superbly fresh and delicious. The presentation is beautiful - a perfect spread of edible jewels, and you almost feel bad devouring them. Almost.